Discussion in 'Politics, Religion, Social Issues' started by Southern Dad, May 26, 2014. You really have to be careful what you release. The White House accidentally released the name of the top CIA officer in Afghanistan. Ooops. The President slipped out of the White House to make a surprise visit to Afghanistan to visit with the troops. There will be no meeting with foreign officials just a handshaking visit with those putting their life on the line wearing the uniform of this country. It's a great move. I believe it will boost troop morale and show Obama out in front. Of course, whenever Obama does something the liberals are quick to point out that Bush did it first. The CIA chief will have to be reassigned. Somebody else will take his place. Whatever press secretary released that list will get, at a minimum, a severe dressing down, if not a demotion. Republicans will blame Obama...possibly even call for a congressional hearing. If the story goes far enough, the media will even give it a stupid name, like Chiefgazi. A demotion? Surely not. Does anyone in this administration get demoted or fired? It would be my guess that the name of the CIA station head in Kabul would be fairly well known to the spook community.I'm sure his name is no surprise to the Russians,Chinese,Taliban,Brits,Pakistanis,Iranians as well as the intelligence services of the various countries near Afghanistan. This time it looks like it was a genuine mistake. Not like the Shrub and Valerie Plame. Because the name may be known it is okay? I don't remember those sentiments when Valarie Plame's name was mentioned in the media. The left wanted the head of the person who leaked it. Ooops, they accidentally released the name. Should I really care about a pep rally for a long mismanaged and ludicrous war? IF our goals were to actually stop terrorism we'd have some words with our great friends the Saudi's seeing as they bank roll most major actors of terrorism on the planet. As for the CIA, good, they could use some sunshine. This shouldn't have much of an impact on actual intelligence missions. Section heads can stay dialed in from anywhere. An OIC in a SCIF 1000 miles away can run a mission in real time without skipping a beat. Operators and collectors would be far more impacted by an "outing". 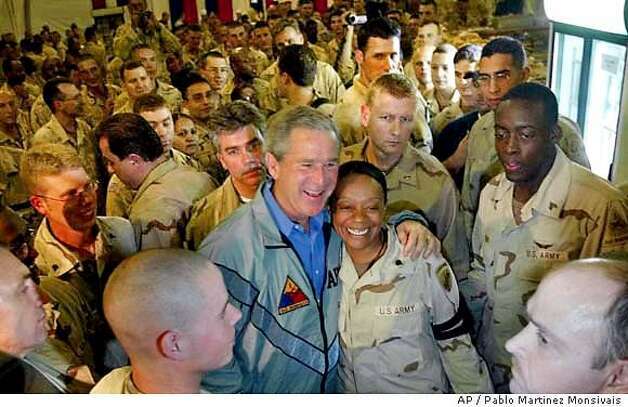 Or troops liked President Bush a lot more.. Remember though, based upon what we know, Plame was in fact a field agent and collector. We don't know what she was involved in, but if someone like that is sitting across from Taliban commanders doing a fake MPADS deal, being outed could kill an entire operation and send targets scattering to safety. A section head being outed is nothing major in comparison. Fair point, though a section head could be more involved than just behind a desk and would also be a valuable target for terrorists. Now I'd also like to point out one major difference between this outing and Plame's outing that SouthernDad is willfully ignoring; This outing was an error of omission sent to a group of reporters, Plame's outing was purposeful public political backlash. The first has happened before. In 2010, a Pakistani man blew the cover of the CIA's station chief in Pakistan over the death of his brother from a drone strike. The CIA chief was recalled. Republicans will latch onto this as yet another scandal from the Obama administration and while I hope it won't get a stupid "gate" name, it probably will. Certainly, but regardless of the name as an open secret, the release is still a fairly substantial screwup. I was waiting for someone to draw such a parallel and it appears so if you ignore the substantial context surrounding both issues. First, Plame was an agent rather than a station chief and her cover meant the exposure of her activities. Also, Plame was exposed, not because of a mistake by some dunderhead at the White House press office, but because the White House was trying to punish her husband for expressing his opinion on Iraq's WMDs. More like his exposing their modus operandi vis a vi their lies and blatant fabrications and general feeble attempts at justifications for their Iraq war. The tired schtick about nobody ever getting fired? So the CIA Chief was outed due to incompetence. Par for the course with this administration. THAT has to be one of your funniest posts . . . . . . . EVAR.
. . . . . heck of a job . . . . . Yes incompetence by a staffer who wrote an attendance list as opposed to a close personal friend of the President who initiated a retaliatory release of information. Seriously, the only way you could have had slightly less credibility in this argument is to say "Thanks Obama!". Really, from Republicans exploding the Federal Budget so they have an excuse to cut "New Deal" social programs while granting huge Federal largess to the wealthy, to Republicans cutting State Department security funding then turning around and BENGHAZI, to failing to protect the mainland from terrorist attack, to losing an entire city while FEMA watches, to starting unfunded elective wars, to cutting Veterans Administration funding . . . . . the list of hypocritical comedy goes on and on . . . . .
You have so much hate on liberals, it's getting ridiculous. And liberals show so much hatred toward people like me who disagree with them that it is just as ridiculous. You have as much right to your opinion as I have to mine. We don't hate on you for disagreeing with us. Come on! You know exactly what you've been doing since you started posting here at PRSI not too long ago. IIRC, you began posting under a pretense that you were rather independent, not leaning too heavily right or left. But in my humble opinion (you definitely have the right to disagree), the majority of your posts have been political baiting. I guess it's not necessarily wrong to do such a thing here at PRSI, but I think many posters here would appreciate if you'd be more forthcoming and direct with your intentions. And liberals show so much hatred toward people like me who disagree with them that it is just as ridiculous. What gives you the impression that any of us here hate you. That is a strong word. I dont know you from Adam outside of this board. Why would I give a rip about hating you when I dont know you. Of course I (and others) express frustration and we attack you, but that is because you exhibit characteristics that people dislike. It become especially frustrating when it involves factual inaccuracies or your lack of desire to address critics. You have as much right to your opinion as I have to mine. Except when you make claims that you cannot back up or express opinions as if they are facts. I have never claimed to be an independent. I'm a Complicated Republican. I don't claim to be anything else. I lean very heavily to the right on all fiscal matters. I'm far left on abortion and gay rights. Hopefully, that clears that up for you. I've never claimed to be anything other than a Complicated Republican, never. Direct enough? And liberals show so much hatred toward people like me who disagree with them that it is just as ridiculous. . . . . .
That assertion is as patently absurd as some of your posts and their abject failure to acknowledge facts accurately and history objectively. It's easy if you keep a couple of points in mind. Republicans should never be allowed to congregate in the same room where arithmetic and historical facts are being discussed; it simply won't end well.